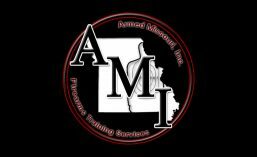 AAR – Immediate Action Jiu-Jitsu & Immediate Action Pugilism | Armed Missouri, Inc.
For those that haven’t met me in person, allow me a few moments to describe myself in order to add some context to the rest of this post. At the time of this writing I am 37 years old. I’m about 6 feet tall and I weigh more than I should at around 275. I am neither as flexible nor as spry as I once was. I’m out of shape but I’m not weak. In addition to the physical aspect, I have absolutely zero experience in the use of martial arts or any other hand to hand fighting style. Despite the fact that this is a beginner level course that is open to everyone, it was like diving in head first without having a clue what was beneath the surface of the water. Keep this in mind as you consider the experience I will attempt to describe herein. Cecil Burch has been practicing martial arts for 38 years; Brazilian Jiu-Jitsu since 1994. He would probably be the first to admit that there are still many people out there that are better at Jiu-Jitsu than he is. Don’t be fooled, however, he truly knows his subject which became apparent early on in the class. What sets him apart from many other trainers is that he is also a gun enthusiast and he specifically tailor his open enrollment classes to the needs of the average citizen. He provides the basic techniques to inexperienced individuals over the course of a weekend. Cecil began class with an introduction to the material he was going to cover for the day. This included a quick check to ensure every participant had completely removed everything from their pockets to avoid any injury. Grappling generally consists of ground fighting. The techniques taught were meant to provide the user with the skills needed to get him or herself into a better position when the attacker was on top. Cecil began by explaining that he wanted to teach us to fight from a “worst possible scenario” with the theory being that one that has learned to win a fight under the worst circumstances could also win a fight from any circumstances better than worst case as well. He explained that he wanted drills to begin in a manner that would provide the least anticipation as possible. This was generally for the “good guy” to begin on his knees with his eyes closed. The “bad guy” would then push him over in a way that would be unknown to the defender. Once on the floor, the defender would essentially find themselves in an inferior position to the attacker. The goal was for the defender to acquire a better position; one which would be superior to, or at least neutral to the attacker’s. The first step in this process was to get into a “Survival Position.” While simple to describe, I can attest that it is not necessarily simple to achieve. Keep in mind that you are now on the ground from a surprise attack and you have an attacker bearing down on you quickly. Being on your side is better than being on your back but only if you are not facing away from the attacker. Survival Position includes a few basic criteria. Move your arms so that your elbows are against your ribs and your hands are near your chin. If on your back, place your feet flat on the ground. This is the foundation for surviving the attack. From this position you can begin to win the fight provided you are conscious. Assuming your attacker is intent on hurting you and that he or she doesn’t have a weapon, he or she will most likely land on top of you as soon as you are on the ground. The next step is to attempt to escape this compromised position. Escape can be achieved a couple different ways but regardless of the method of escape, the first step is to create some space between you and the attacker. You can do either a hip lift to create vertical space or you can do a hip escape to provide horizontal space. Neither is preferred over the other. They are both situationally dependent. Often, a combination of the two is needed. The third and final part of the equation is to drive to your knees or a guard position. These positions, while potentially neutral rather than superior, are much better than being under the attacker. Using this basic formula: Survival Position –> Create Space –> Drive to Knees or Guard, Cecil tried to develop a baseline skill so that it could be utilized throughout the day as he introduced additional complications into the mix. One thing Cecil tried to impress upon us was that the “solution” you try may fail but that doesn’t mean you have failed. If a hip lift doesn’t create the space you need, try a hip escape. If neither work try altering your timing or doing a combo of both. You haven’t lost until you give up. Throughout the day additional layers were added to the mix. Incoming blows from the attacker – we were taught how to defend against them. A weapon is accessed – we were taught how to prevent it from being deployed. A weapon was deployed – we were taught how to take control over it. Finally, we were taught a simple but effective choke technique that can be used on virtually anyone. Each layer came with its own set of complications but the basic steps were still the same. Let me take a moment to paint a picture for you. Recall the physical description that I gave you at the opening of this article. Now, imagine how exhausting it was to move, not only my weight but also the weight of another adult male, around the floor for four hours. By lunch time I was physically spent. I wanted to quit and I put serious thought into it. I was way over my head and I felt like I was drowning in a flood of new information and concepts. I couldn’t seem to catch my breath and my muscles were already very sore. I had hyperextended the tendons in both big toes and I took a knee to the right cheek. I was frustrated at my own inabilities. I was at the point where learning was no longer taking place because of my focus on all of my difficulties. I was miserable and I felt that I had more than enough justification to call it quits but the thought of reality kept ringing in my head. It said quite simply: “you can’t quit in a fight.” Quitting in a fight will result in death; something I’m not willing to do so willingly. Fortunately, I was surrounded by a great group of training partners. Even though I had only ever met one of them, they weren’t willing to see me fail so easily. A few of these guys, all of which were in better physical condition than me, saw that I was having difficulty and they made sure that I was not only able to continue the class but also to continue developing these new skills. I wouldn’t have been able to make it had they not allowed me to work at my own pace. I really can’t thank them enough for their efforts and I hope I was at least marginally effective as a training partner to them as well. As the day drew to a close every muscle in my arms and legs were cramping nearly every time I moved them. I was very pleased I had persevered but I was so sore and tired I really didn’t feel like celebrating the achievement. I just wanted to go to my hotel room and relax. I have never been that exhausted after a daylong class before. Even the force on force training I have taken didn’t consume so much of my energy. I woke up feeling immensely sore. My arms, legs, and back protested angrily as I got out of bed. I felt about the same as I do after two full days of force on force training. Knowing my muscles would loosen up as I moved around, I got dressed and repacked my bags. It was time to take some ibuprofen and get back to work. Cecil began the day by teaching what he referred to as “Default Guard.” The idea being that this would be your default position anytime you are receiving incoming blows. This position essentially consisted of hand and arm placement in order to protect the head and neck. One hand would be moved to cup the base of the skull, the arm tight against the side if the head. The other arm would be placed along the brow line, the bicep tight against the cheek. The head would stay erect rather than being pulled forward. Building on this concept, he demonstrated how this position could also be used offensively by taking the aggression into your opponent. We then learned how to transition from default guard into a side control hold and finally how to transition completely to the attackers back and disengage. We ran these drills over and over in an attempt to anchor them. I found this skill relatively easy to learn and I believe it would be very likely to work against an opponent, provided the opponent doesn’t have a background in martial arts. We spent the morning working this drill. We added components to it such as the possibility of the defender to have a gun or knife to use at the time of disengagement. By lunch time on day two I was feeling much better about my abilities. I found the standing techniques much easier to perform than the ground techniques and they had a lot of ties to firearms techniques. After lunch Cecil began the process of teaching some hold techniques and how to defeat them. Specifically, we learned about wrist ties, elbow ties, under hooks and over hooks. During these drills, Cecil pointed out what he referred to as “the single most important thing we would learn all weekend.” Keep your waistline lower than that of your opponent. He who has the lower waistline would almost definitely win. This concept was demonstrated many times throughout the afternoon as we each failed to keep our waistlines lower than our opponent either on purpose or, more likely, in error. A lower waistline inevitably offers better leverage and, therefore, more control. Cecil also pointed out that you can win by positioning yourself correctly. Specifically, this means your head, elbows, hips, and feet should always be going toward the best position that they can be in. The more you can get in the right place at once, the better your odds of winning. This is much easier said than done but it can be done even against an opponent that knows what you’re doing and ho to counter it. Finally, Cecil took a few moments out of class to explain that winning a fight doesn’t necessarily mean defeating your opponent. Sometimes winning just means not losing. In a fight for your life a stalemate is still a win (unless the stalemate results in both parties dying). Finally, after nearly two full days of running almost exclusively defensive drills, Cecil taught us a single offensive move. A simple punch. A specific target point on the opponent. A reset that is faster than the punch. The remainder of the class consisted of punching practice. It was late in the day by now and everyone was tired. I ended up sitting out the last few drills because my muscles were screaming at me every time I moved. Cecil called it a day and class drew to a close. I was extremely grateful I had the foresight to take that Monday off work. My sore body doesn’t recover as quickly as it did twenty years and a hundred pounds ago. I keep running through what was taught in the class in my head. After these two days of pretty intense physical training I have come to a couple conclusions. This kind of training is valuable. Anyone that thinks they will simply “figure it out” if they suddenly find themselves in a hand to hand fight is wrong. They are as wrong as the concealed carrier that has never once practiced drawing their gun because they assume they will just be able to do it under the stress of the moment. This training is NOT for the weak. I’m not talking about physical strength here. I’m specifically talking about mental weakness. Those without the right mindset and attitude will throw in the towel early on. If you think you can’t, you probably can’t. You’re out of excuses. If my overweight and out-of-shape body can do this kind of training for an entire weekend, so can yours. You have completely run out of excuses to improve your defensive skillset. That doesn’t mean you need to run out to a weekend long Jiu-Jitsu class next week, but it does mean you should seek out some good quality training before the year is out and get to work. Nothing worth doing comes easily. Sometimes it costs a lot or money. Sometimes it costs a lot of time. Sometimes it costs a lot of comfort. Sometimes it’s all of the above. If you want to be harder to kill, you have to put in the work. If you’re even remotely interested in martial arts techniques, I highly recommend this class. If you can’t get into one, find a local gym and start taking weekly classes. They will help keep you in better physical condition while making you harder to kill at the same time. I found Cecil to be an extremely personable guy. He is the kind of instructor that expects the work to get done but doesn’t feel the need to bark orders at the student to make it happen. The class was run in a very relaxed and laid back manner while the seriousness of what was being taught was still maintained throughout. He regularly interjected coaching into the drills being run when he saw a need rather than leaving a struggling student to figure it out on their own. Despite all my aches and pains, I really enjoyed my time in class and I feel as though I learned a lot. I look forward to training with Cecil again in the future. This entry was posted in After Action Report, Firearms Training, Hand Fighting Skills and tagged After Action Report, Firearms Training, Hand Fighting Skills, Martial Arts, Practice. Bookmark the permalink.